We are happy to announce that over the next 3 years, beginning in 2018, Wightman will bring the Fibre to the Business technology to the city if Stratford. With Fibre to the Business technology, Wightman is able to provide customers with Internet speeds as fast as 1 Gig. Read press release. Wightman Fibre to the Business provides Quality, Speed, and Value that most cities can only dream of. Our world is connected like never before, and global competition is more technologically based than ever before. Wightman is no exception. We’re connecting you and paving the road to the future with Fibre to the Business. Like water and electricity, connectivity has become an essential utility for most businesses. A fibred business enhances performance, providing users with unsurpassed access to Phone, Internet, and TV. Now Wightman’s revolutionary fibre optic network will enable all of your communication and entertainment services to be carried over a single strand of glass at the speed of light. From providing outstanding customer service to giving back to our community, our deep-rooted values and commitment to our customers are the foundation of our continued growth and success. Get all the details about Fibre to the Home construction and find out what makes fibre so different in the Stratford Fibre guide. Download your Stratford Fibre Guide here. 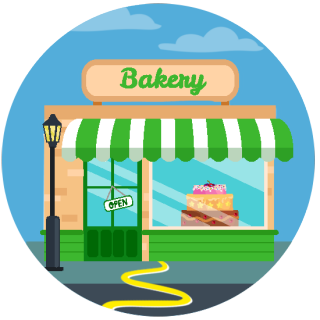 Enter your business street address to see if Fibre to the Business is available at your location. 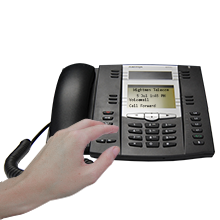 Phone over our fibre optic network provides the same user experience as a traditional line. Our fibre optic network provides a higher rate of signal travel allowing your business to be reliant on only the most modern cable, which won't corrode or short circuit. With high definition video being the norm, cable companies are struggling to solve the increasing bandwidth requirements of your television. With Wightman, you have a system more than capable of handling the future demands of high definition and ultra high definition television. Sending signals at the speed of light, our fibre optic network is the gold standard. Used primarily for intercontinental undersea cables, fibre optics are the fastest method of communication known today. Wightman extends this system to its users, bringing you the highest speed internet available. 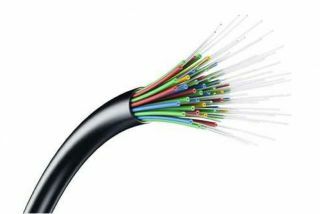 Fibre to the Business uses glass fibre to carry communications signals. It replaces existing copper infrastructure, such as telephone wires and TV cable, with a faster, more reliable method of delivering internet, digital TV, and phone services. Fibre uses light instead of electricity to carry signals, and since light travels so quickly, Fibre to the Business can carry an enormous number of signals to and from your business at previously unheard of speeds. Like water and electricity, a fast connection is an essential utility. Without it, it’s almost impossible to keep up. Process transactions, upload, share files, backup data and more, faster then ever before. It’s hard to believe it has only been 12 years since the launch of Facebook, Youtube, and Twitter. Even iTunes was a fairly new concept! But now, according to the Canadian Internet Registration Authority, “Canadians spend more time online than anybody else in the world.” We are a wired nation in a wired world with a wired future. Without a good internet connection, you’re going to be left behind.